Did you know that you should be cleaning your makeup brushes at least once a week?!? When you use your brushes, bits of makeup, oil, dirt, and bacteria get trapped in the bristles, and this in the long run might get you some acne, clogged pores and even some allergies. Cleaning your makeup brushes is quick and easy. Not to mention the fact that quality makeup brushes can be expensive. So learning how to properly clean them is one of the best ways to protect your precious investment. Also, your brushes will need a few hours to dry after a deep cleaning, so I’d recommend washing the m after you’ve applied your makeup that day. Start by running your brushes under warm water, rinsing out all of the residual makeup. Try to focus on the actual bristles while avoiding the part of the brush where handle meets the head, as this can loosen the glue over time and cause the bristles to fall off the handle. 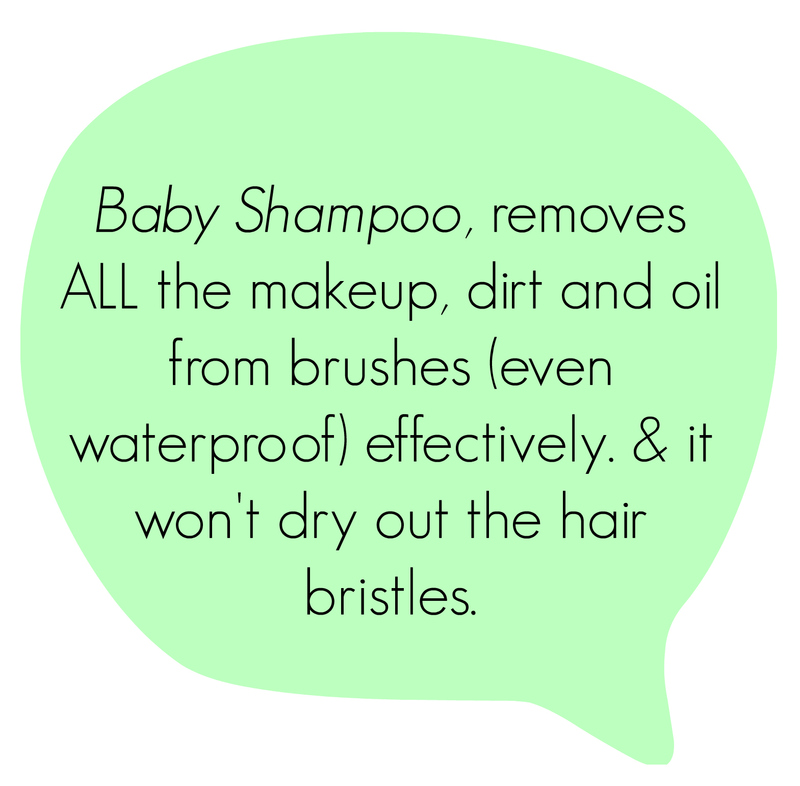 Fill the shallow bowl with warm water and a squirt of shampoo. Swirl gently your brush tip under running water. If you need to, you can also swirl the brush in the palm of your hand to work up a lather. Rinse the brush tip under running water once again, facing the bristles down. Repeat steps two and three until the water runs clear from the brush. Lay your brushes on an angle, on top of a cloth to dry. Alright you guys, there you have it a quick, easy, effective and cheap way to deep clean your makeup brushes. Make sure to incorporate this onto your beauty routine so you can avoid skin problems such as acne and more. Let us hear your thought on this and let us know if you tried it, by tweeting us a photo @teamglamitupp or in the comment section of this post down below, we loooove hearing from you guys <3, lots and lots of love. I have read stuff from. Thank you for posting when you have the opportunity, Guess I will just bookmark this site. These ɑre actuallʏ еnormous ideas in reցarding blogging. You have toucҺed some good things here. Any way қeep up wrinting.